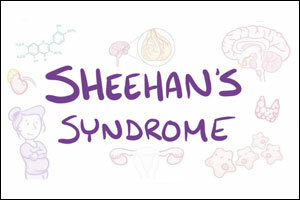 An unusual case of hypopituitarism called Sheehan’s syndrome with intractable vomiting was reported in The Journal of The Association of Physicians of India. The case refers to a 54-year-old lady presented to the hospital with a history of low-grade fever for one week associated with occasional loose stools, vomiting, and severe malaise. Fever was not associated with chills and had no diurnal variation, precipitating or relieving factors. However, it was associated with 6-8 episodes of vomiting per day, which was non-bilious, comprising primarily of food particles consumed in meals. There was no relation of vomiting with food intake. She did not complain of abdominal pain, headache, vertigo, diarrhoea, a passage of worms in vomitus, decreased urine output etc. The patient persistently complained of severe weakness and lethargy which limited her activities of daily life both at work and home even before the onset of the present illness. Initial evaluation revealed low serum sodium. An initial diagnosis of acute gastroenteritis with secondary hyponatremia was made. Work up for infective causes of gastroenteritis was however negative. ENT evaluation and review of drug history did not contribute towards a diagnosis. The patient’s symptoms persisted and did not respond to symptomatic treatment. Ultrasound of abdomen revealed cholelithiasis with no evidence of cholecystitis. Further evaluation revealed hypotonic hyponatremia with normal levels of urinary sodium excretion. With other causes of hyponatremia ruled out, an endocrinopathy was suspected as the likely culprit. Follow up hormonal studies revealed hypopituitarism and MRI of the brain revealed a partially empty sella. On reviewing the case, a past history of amenorrhea immediately after the birth of her third child (almost 20 years ago) was elicited. Intractable vomiting is quite an unusual presentation for Sheehan’s syndrome, but a thorough case history coupled with a high index of suspicion can contribute towards identifying the cause among a series of confounding clinical and radiological findings, as observed in the case. Hypoadrenalism due to hypopituitarism or pituitary insufficiency in rare cases can lead to vomiting and hyponatremia in patients who are previously normal. All symptoms as related by the patient should be analyzed objectively, rather than taking them at face value. The diagnosis in the case was confounded by factors such as hypothyroidism, recurrent vomiting, and subsequent hyponatremia. Further, the patient herself was not forthcoming with the history of amenorrhea immediately after childbirth and narrated this only after specific interrogation. This further highlights the importance of menstrual history in females, which is often neglected, but as evidence, can be a crucial part of the problem-solving process. Source: With inputs from The Journal of The Association of Physicians of India.